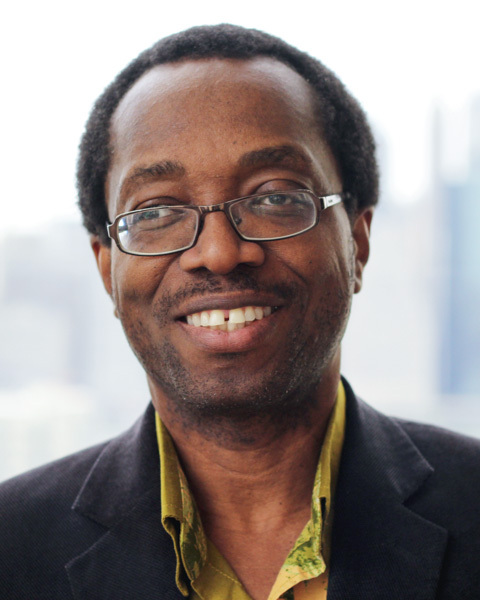 Cyril Obi is program director for the African Peacebuilding Network (APN) and the Next Generation Social Sciences in Africa program, bringing his extensive research, networking, and publishing experience on African peace, security, and development to the Council. After completing his doctoral studies in Political Science at the University of Lagos, Nigeria, he joined the Nigerian Institute of International Affairs (NIIA) and was promoted to associate research professor in 2004. That same year, Dr. Obi was awarded the Claude Ake Visiting Chair at the Department of Peace and Conflict Research at the University of Uppsala, Sweden. From 2005 to 2011, he was a senior researcher and led the research cluster on “Conflict, Displacement and Transformation” at the Nordic Africa Institute (NAI) in Uppsala. He has received academic awards and fellowships from the Council for the Development of Social Science Research in Africa (CODESRIA) in Dakar, Senegal; the Social Science Research Council (SSRC); Africa Studies Center (ASC), Leiden; St. Antony’s College, University of Oxford; 21st Century Trust; Salzburg Seminar; and the Nordic Africa Institute (NAI). Dr. Obi is currently a research associate of the Department of Political Sciences, University of Pretoria, South Africa; a visiting scholar to the Institute of African Studies (IAS), Columbia University; and an adjunct professor at the Graduate Center of the City University of New York (CUNY). Dr. Obi serves on the editorial boards of several reputable journals, including African Affairs, African and Asian Studies, African Conflict and Peacebuilding Review, African Security Review, Brazilian Journal of African Studies, International Political Science Review, Governance in Africa, Strategic Review for Southern Africa, and Ubuntu: Journal of Conflict Transformation. He is also an international contributing editor to the Review of African Political Economyand serves on the Zed Books Africa editorial advisory board. Dr. Obi is also a member of the Board of Directors of the African Studies Association (ASA) and the International Advisory Board of the International Panel on Exiting Violence (IPEV), Paris. His publications include The Rise of China and India in Africa: Challenges, Opportunities and Critical Interventions (Zed Books, 2010), with Fantu Cheru; Oil and Insurgency in the Niger Delta: Managing the Complex Politics of Petro-Violence (Zed Books, 2011), with Siri Aas Rustad; and a special issue of the African Conflict and Peacebuilding Review on the African Peace and Security Architecture (APSA) (Indiana University Press, 2014), with T. Tieku and L. Scorgie-Porter. He has also contributed articles to the following peer-reviewed journals: Review of African Political Economy (2014), Extractive Industries and Society (2014), and South African Journal of International Affairs (2015). Dr. Obi recently contributed a chapter, “Understanding the Resource Curse Effect: Instability and Violent Conflict in Africa,” to Minding the Gap: Conflict Management in a Time of Change, edited by Pamela Aall and Chester Crocker (CIGI, 2016). The SSRC had a significant presence at the annual meeting of the African Studies Association Conference, emblematic of its more than half a century of work in Africa.